We wish to share the wonderful news with you that we have won a national award under the ‘active schools’ category of the Green Schools Travel Annual Competition – the Park ‘n’ Stride sub-category. 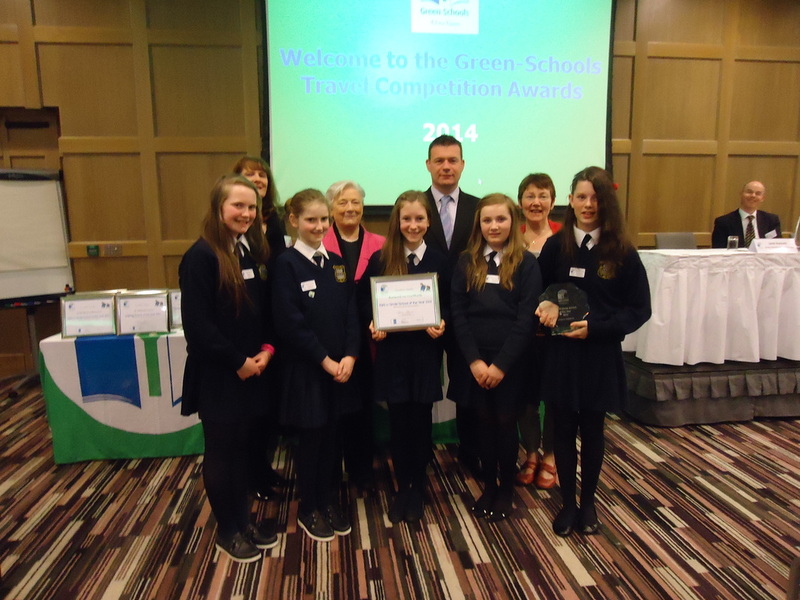 This could not have been achieved without the excellent co-operation of the parents, who encouraged the children to walk to school on a weekly basis, park ‘n ‘ stride or carpool to school especially on Wednesdays. 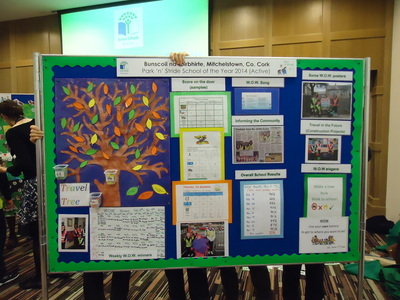 To our surprise and delight we received a phone call on Fri. April 11th (the day of the Easter holidays) telling us the good news. 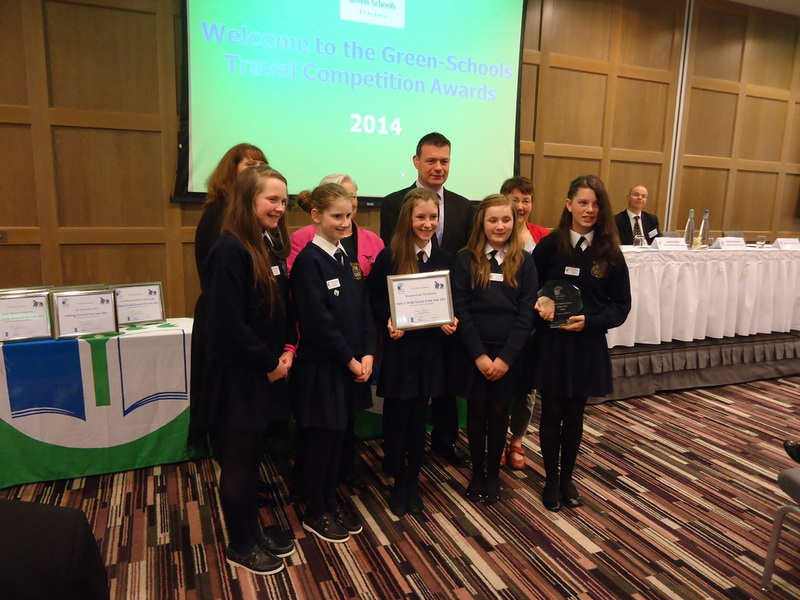 In total 12 schools from around the country will meet with Alan Kelly T.D. 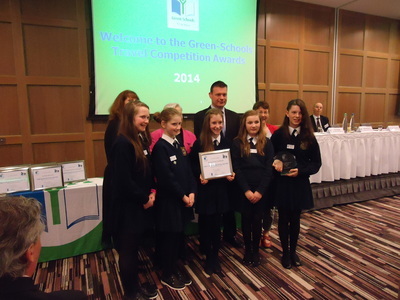 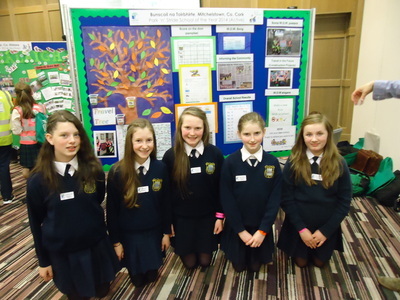 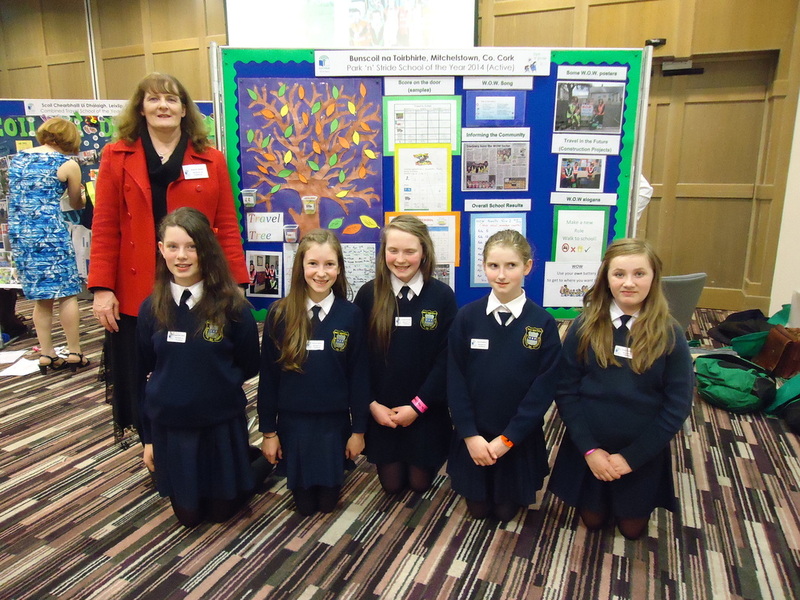 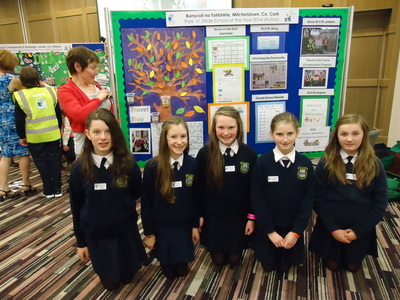 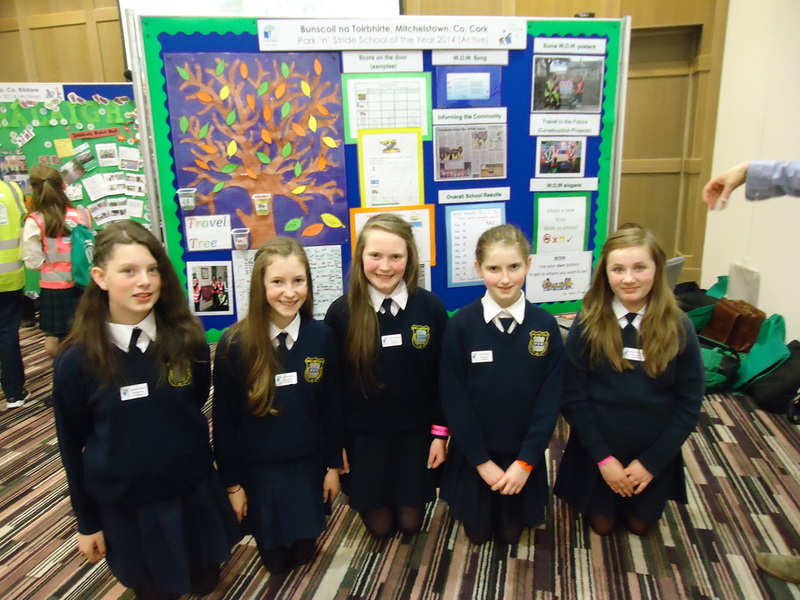 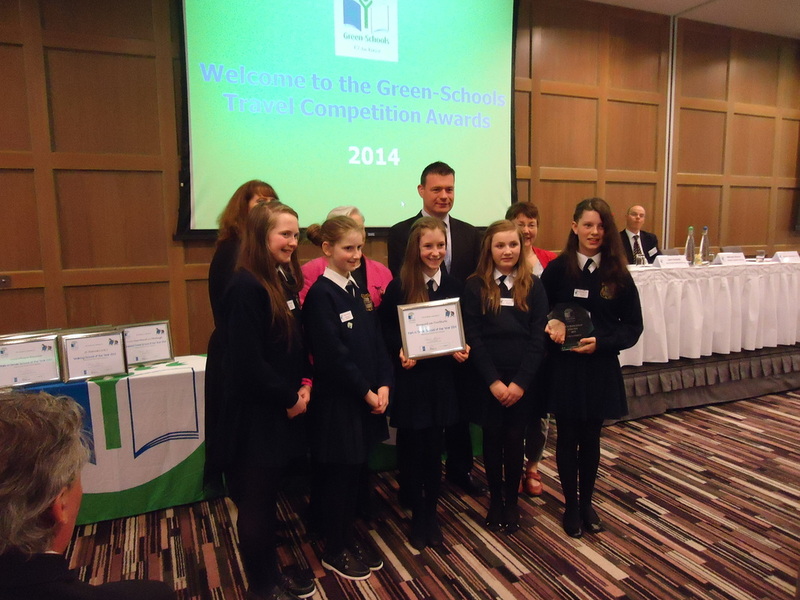 On Tuesday May 13th three girls represented our school at the ceremony at the Radisson Blu Hotel in Dublin. 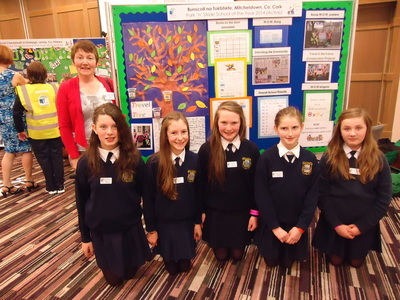 They presented a small exhibition of our work – posters, photos, surveys etc. 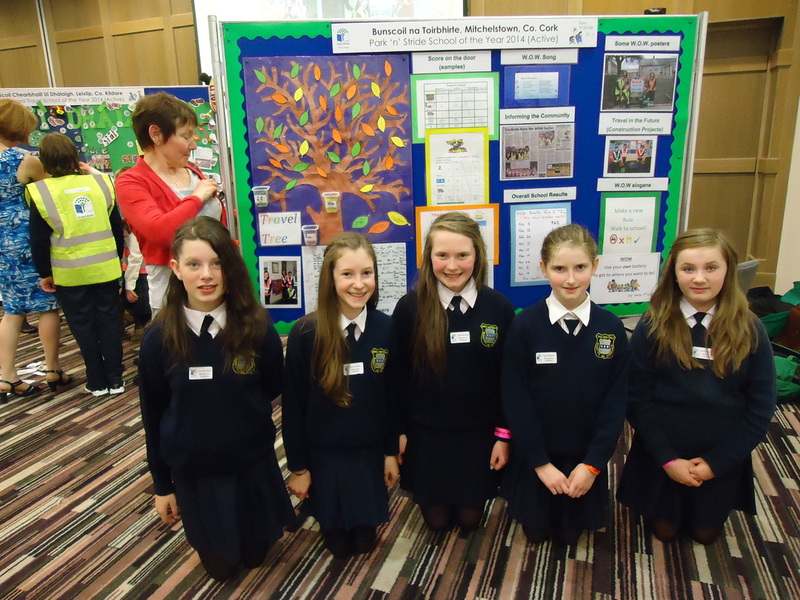 · WOW poster on display at gate – Tues. and Wed.
Look at some photos of the event below.